I have been creative my entire life. I remember when I was a young child always coloring and drawing. It was my favorite thing to do. It may have also been a way to distract me and protect me from my internal mental pain and abuse. It was a safety mechanism, so I could leave and escape for a little while into my mind and world of creativity. When I was young, I always made homemade cards for everyone. Even when I was in my early twenties and in college, people found out I could do calligraphy and draw, so I sold a little artwork in that way. Unfortunately, the art of calligraphy is now a dying art due to computers and continuous new technologies and graphic art. My High School art teacher thought I should go into art and even spoke to my parents about this. However, I knew I wanted to help people in some way instead. I had to help people. I believe that stems from my past and pain from abuse, and the mental illness I already had but just did not know it yet. I wanted to help people in some way, so they would never have to feel like I did. I wanted to make people feel happy and feel loved and know that they mattered in this world. I taught Special Education until my symptoms of bipolar disorder became too severe. I drew, painted and created during that time. I also, attempted to get a degree in Graphic Design many years after my initial diagnosis. I had 4.0 grade point average and won an award where I received $300.00 for my artwork. I was three classes short of graduating with my degree in graphic design, until once again my bipolar symptoms became too severe causing me to be unable to function and I could not finish school and receive my graphic design degree. I have sold drawings and paintings in the past. For some reason the source of my creativity has switched to writing. My interest in drawing on paper or painting on canvas has dissipated, and has switched to drawing and illustrating and creating with words on my computer keyboard. Please don’t refuse medications, as it does help most people who are diagnosed with bipolar disorder. You can find appropriate medications and levels of medications that will still allow you to have the creative and/or genuis traits of who you are. Many people with bipolar disorder have strong creative and genius abilities. I have been blessed with the creative gene and link of bipolar. Unfortunately I did not get blessed with the genius link, but one out of two isn’t bad. I am happy to have been blessed with my creative and artistic gifts and abilities. One out of the two is good and I appreciate and am proud of that part of who I am. I also believe, many people with bipolar disorder have magnetic personalities. I feel like I do sometimes, especially when I am hypomanic like I usually am. I also believe most people with bipolar are likable, caring and very compassionate people. We know what severe mental pain, sorrow and despair feels like and we do not want others to feel the same way. Of course, our likability and pleasing personalities do not occur when we are in a depressed mood state, but even when I am depressed I still always have the desire and need to help others. Also, even if I am depressed, not so severely depressed that I cannot move or function, my creativity comes out in another very open and honest way, deeper and darker but still creative. The following pictures are just a few samples of my artwork and I have a few more samples added to another post with descriptions of the artwork added, as well. You can find them on my blog on this link. None of my artwork is to be duplicated without permission. Thank you. However, I sell my artwork and copies for a little fee. I just wanted to show you samples of how my creative brain functions and has functioned in many capacities throughout my life. I hope you enjoy them. The belief that bipolar disorder and creativity are closely linked is widespread and of long-standing – the whole “madness and genius” tradition. It is true that such a link exists, for example in poetry, art, music, and creative writing, as well as being a belief long rooted in popular culture, the “madness and genius” association has been expertly researched, using both qualitative and quantitative methods. There is a link between bipolar disorder and creativity. Both controlled quantitative studies and retrospective qualitative studies based on biographical research show that bipolar disorder occurs widely and commonly in creative individuals. 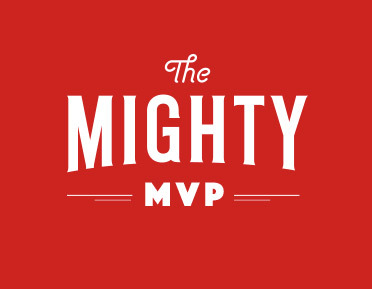 It is far less prevalent in the general population as a whole. But, most individuals with bipolar disorder are not unusually creative. Most people who are recognized as creative, do not suffer from mood disorders or other mental health challenges. It is not known why the link between bipolar and creativity exists. However, some experts speculate that it may stem from the experience of being bipolar – that the intensity of feeling that accompanies episodes of mania and depression leads to the heightened awareness that allows for great creative expression. © Bipolar Lives 2007-2015 http://www.bipolar-lives.com ALL RIGHTS RESERVED. Is There a Link Between Bipolar Disorder and Creativity? There may now be a scientific explanation as to why many creative people have bipolar disorder. Several recent studies have shown that people who are genetically predisposed to bipolar disorder are more likely than others to show high levels of creativity, particularly in artistic fields where strong verbal skills are helpful. In one study, researchers took the IQ of almost 2,000 8-year-old children, and then assessed them at ages 22 or 23 for manic traits. They found that high childhood IQ was linked with bipolar symptoms later in life. For this reason, the researchers believe the genetic features associated with bipolar disorder can be helpful in the sense that they also may produce beneficial traits. “One possibility is that serious disorders of mood — such as bipolar disorder — are the price that human beings have had to pay for more adaptive traits, such as intelligence, creativity, and verbal proficiency,” said Daniel Smith of the University of Glasgow, the leader of the study. Other researchers have also found a connection between genetics, bipolar disorder, and creativity. In another study, researchers analyzed the DNA of more than 86,000 people to look for genes that increase the risks of bipolar disorder and schizophrenia. They also noted whether the individuals worked in or were associated with creative fields, such as dancing, acting, music, and writing. They found that creative individuals are up to 25 percent more likely than uncreative people to carry genes that are associated with bipolar and schizophrenia. “Our findings suggest that creative people may have a genetic predisposition toward thinking differently, which, when combined with other harmful biological or environmental factors, could lead to mental illness,” said Robert A. Power of the Institute of Psychiatry, Psychology, and Neuroscience at King’s College, London, and lead author of the study. 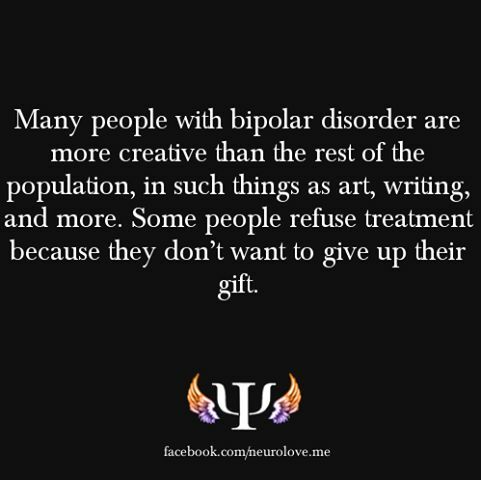 Not all people with bipolar disorder are creative, and not all creative people have bipolar disorder. However, there does appear to be a connection between the genes that lead to bipolar disorder and a person’s creativity. During these episodes of mania and hypomania, people often feel ambitious and inspired, which may prompt them to start a new creative endeavor. In fact, many people with bipolar disorder tend to be highly creative. There are numerous famous artists, actors, and musicians who have bipolar disorder. These include actress and singer Demi Lovato, actor and kickboxer Jean-Claude Van Damme, and actress Catherine Zeta-Jones. Other famous people believed to have had bipolar disorder include painter Vincent Van Gogh, writer Virginia Woolf, and musician Kurt Cobain. Studies in both psychology and medicine offer some evidence for a link, but they tend to focus on well-known figures or small groups of patients. A team from Oregon State University recently looked at the occupational status of a large group of typical patients and found that “those with bipolar illness appear to be disproportionately concentrated in the most creative occupational category.” They also found that the likelihood of “engaging in creative activities on the job” is significantly higher for bipolar than non-bipolar workers. It does seem that for those who are diagnosed with bipolar disorder, creativity can offer a powerful means of expression… and so I write and draw and paint and create in any way and every way I can. I pray one day I coud be a creative genuis.